Nice Story vs. Roadrage and a Motivational Workshop!! If you live in or near a city and drive on crowded streets and highways then you certainly can relate to this. I was in the passenger seat with my husband over the weekend on Sunrise Highway in Freeport, Long Island (NY) when we were cut off by a truck that came out of a shop driveway on the right, crossed a lane and cut us off. I screamed (windows shut:)) and then he went back into the right lane and we stopped for the light. I was just catching my breath when my husband asks me to roll down the window – the driver of this vehicle wanted to talk to me. I wouldn’t even turn my head that way -heard too many road rage stories ending badly. Then he said he looks friendly and wants to ask something…so I did. The young man profusely apologized for cutting us off; he had misjudged his arc into the lane. I thanked him just as profusely. The light turned green, we both went ahead with some of my faith in drivers restored. De-Stress and Access Your Power! a dynamic and powerful team! Reduce Stress! with EFT, Breathwork, Progressive Muscle Relaxation, Visualizations. Tildet is an inspirational speaker, empowerment coach, and author. She is the president of Growing with Truth Inc. and delivers keynote addresses and Growthshops on stress management, communication and negotiation, emotional intelligence, perfecting life balances, and meditation for the public and for corporate audiences. 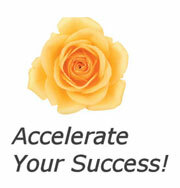 Eileen Lichtenstein is Your Peak Performance Success Coach for Your Life and Career! Helping you and your organizations be Positive, Productive and Powerful with effective DeStress, Anger Management and Communication tools. When you work with Eileen you will experience the freedom and peace of leading a balanced life. Register and receive gifts from Eileen & Tildet! Great story, Eileen! Thank you for sharing!